Can I put 2 oven racks inside the bag at the same time? Yes, place inside bag on top of each other pour in liquid swish around making sure oven racks are coated. Proceed as directed on package. My racks are too big to fit in the zip lock bag. What do I do? You may use 2 large heavy duty trash bags doubled up inside each other. Bags should be closed tightly and out of reach of children and pets. Proceed as directed on package. My BBQ grill is old. Will this product make the grates look like new? If grates are old or rusty results will be minimized. Best if used on grates less than 1 year old. Our Oven Rack & Grill Cleaner won the 2010 VIP (very innovative product) award! Read More Here! Bag the Racks: Place cold racks inside extra large plastic bag provided in box. Pour in the Solution: Pour entire bottle of Oven Rack & Grill Cleaner into bag and seal bag completely. Gently shake to ensure racks are coated. Wait, then Rinse: Allow solution to work for 8 hours out of reach of children and pets. Remove racks and rinse with water. Watch your racks shine like new! 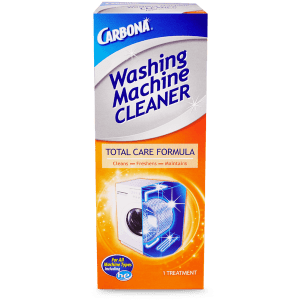 I am writing to let you know how thrilled I was when I found Carbona oven rack cleaner. It was so easy to use and every speck came off of the racks without any effort. I do not dread cleaning my oven racks anymore and I thank you for this product. I just wanted to say how well the grill rack cleaner worked. I was a little hesitant to if it would work as promised, but after leaving the racks in the bag overnight the grime just washed off quickly with a hose. I am very pleased with this product and will be highly recommending it. Oh . . . my . . . gosh! This product is unbelievable. I have tried everything to clean my gas cooktop grates and nothing even comes close to your product . . . not even with a lot more elbow grease. I bought the rack and grill cleaner a couple of months ago when I saw the $2 coupon. I decided to try it (even though it’s pricey) because I had tried everything else (Easy Off oven cleaner too!). Well, after using your cleaner just once, the cooktop grates look brand new!! I have since bought it two more times and will continue to buy it for my gas cooktop grates, my oven racks and my outside bbq racks. Thank you. I will certainly try your other products i.e. granite countertops. “Easy AS 1-2-3…is your slogan. I was thrilled with this product. I have 3 oven racks and it would take me all day and very sore hands at the end of cleaning the racks. Thank you for making my cleaning as “Easy As 1-2-3”. Great Product! 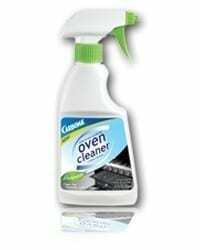 Used Carbona 2 in 1 oven rack cleaner. Kept the oven rack in the solution longer than 8 hours. In the am, I hosed down the racks and they came out sparkiingly clean. I was able to dispose of the used solution as it is environmentally safe, also septic safe. I am 66 years old and I have never written reviews on anything until I used this product. In my years I have really toiled and was never successful cleaning oven racks until now. My oven looks the same as the date it was delivered. Soooooo easy to do. Thank you Carbona. FANTASTIC PRODUCT! The directions on my self-cleaning oven say to remove the racks before cleaning if I want them to remain shiny. So for 7 years, I have tried using oven cleaner on the racks (in my sink) but it never worked well. A lot of mess and trouble, and I never could get the stains out of the corners and welds. So when I saw your product in Publix yesterday, I thought, “sort of pricey but worth a try.” All seven years of accumulated soil disappeared overnight! I’ll definitely tell my friends about this product. It worked easily, efficiently and was well worth the price. 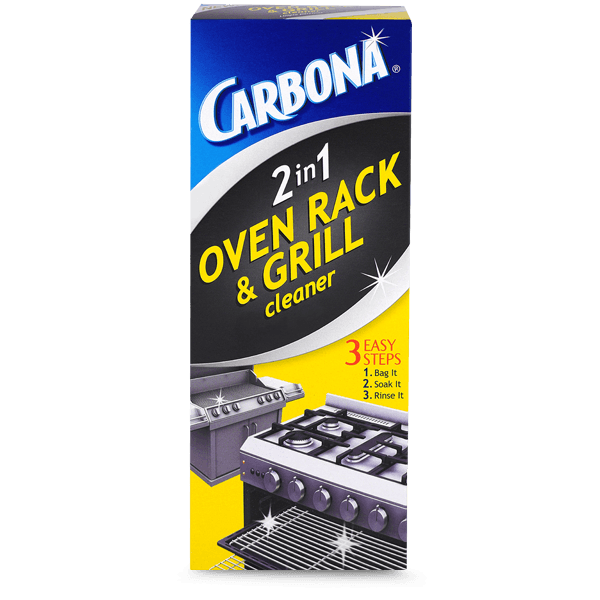 Carbona’s Oven Rack Cleaner is THE BEST! Just soak racks overnight in solution and rinse off in the morning. NO SCRUBBING! Can’t believe how well it cleans and how EASY it is! A product that actually does what it promises. Simply dissolves all the baked on grease that would take hours of scrubbing to get off. LOVE it! Used this product to clean the filthy racks from our new Weber grill before putting it away for the winter. Weber said not to use regular oven cleaner on them so I decided to try this product based on favorable reviews seen here. It worked like a charm. Grills look shiny and new. I did have some remaining baked in soil on back side of grills where they did not make contact with contents in the bag. But that was user error. Next time I will take care to fully coat them with product. A disposable foam brush could be handy to coat parts of rack that do not lie flat in bag and are hard to coat. Very easy, no fumes, no problems. It was an overnight miracle. I put my oven racks in the bag afterward and they came out great as well. Just wanted to tell you how very pleased I was with this product. I hadn’t cleaned my oven racks for quite some time as it is such a tedious job. I saw your product at the grocery store, used it over the weekend and my oven racks look like new. Nice to see a product perform as advertised. Thank you! I did a major overhaul cleaning on our stove and this product caught my eye when I was scanning the grocery shelf for an oven cleaner. I was skeptical, but couldn’t resist trying it out since the price was low and seemed reasonable; plus I was already dreading having to clean this circa 1990’s stove and any easy solution was a consideration. I followed the instructions and let the oven racks soak over night and the next day sprayed them down. Was totally taken aback at how effortless it was on my part. My oven racks looked as if they were brand new!!! I am a customer for life and this will be my “go-to” product from here on!!!! Cleaning the oven racks will never be a pleasure, but honestly, this product makes it easy and ALMOST fun. I mean, you get to have shiny-like-new ten year old oven racks with minimal effort. How cool is that? I purchased this kit today from our local Rainbow Store in Plymouth, MN. I’ve often tried to painstakingly use 3-M pads on each “wire” of my oven racks to no avail. I thought I’d give your product a try – even though it seemed a bit expensive and supposedly took 8 hours. It has been working only about 3 hours and I can already see it was well worth the investment!! I am sure the racks will come out just as pictured on the box! I am amazed and happy. 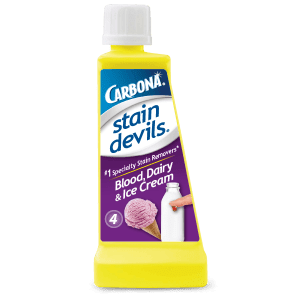 I’d love to try the stain devils; but our store doesn’t carry them! The end of the holiday season at our house is marked by my cleaning of the oven. Our oven is self-cleaning and I have used the spray cleaners on the racks. While at our local ShopRite we found your “2in1 Oven Rack and Grill Cleaner”. My wife uses your Stain Devils so when we saw your cleaner we decided to give it a try. WOW – it worked and worked well!! I left the racks in the bag overnight took them out, rinsed them off and they looked as good as new. Outstanding product! have been any easier to use. I have already recommended it to my daughter and a friend. THANK YOU SO MUCH !!!!!!!!!!!!!!!!!!! I have been searching my local stores for this product since I saw coupons for it. While vacationing I found it at a Price Chopper and I used it yesterday. This product is fantastic and it was easy to use and the oven racks are like new! Just had to let you know how pleased I am with this product. I recently used your 2in1 Oven Rack & Grill Cleaner on the racks in my self-cleaning oven. I followed the directions and left them in the bag overnight. What a great surprise! They came out like new with no work on my part – even the few black particles left rinsed right off. You have a very satisfied customer! I have recently developed arthritis, so any type of scrubbing is torture. I tried your 2in1 Oven Rack & Grill Cleaner and I LOVE IT! It does exactly what it says it is going to do. My racks look great. I am telling all of my friends. I have emphysema so I cannot use sprays. I just tried the Oven Rack Cleaner that I purchased from a catalog, it’s like a miracle! Please tell me where I can purchase locally. Thank you. We have a Wolf oven so we contacted them for the best way to clean our racks. They recommended your 2in1 Oven Rack Cleaner. I am looking forward to trying it. Wow! 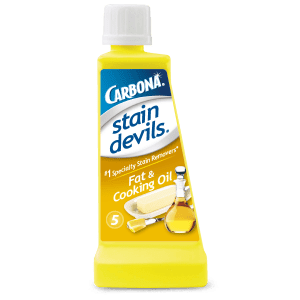 I have used the Carbona Stain Devils for years, but the new Grill Cleaner & Ceramic Cooktop cleaners are awesome. Thanks for creating such great prodducts! I just wanted to let you kow that I recently purchased the rack cleaning kit, and I am absolutely amazed at how clean my really dirty racks are with minimal scrubbing. I am recommending it to all of my friends!! Your product saved me at least 2 hours of painful scrubbing with brillo pads and chore boys!! A HUGE FAN OF ALL OF YOUR PRODUCTS. What a wonderful product. I used it for the first time this past weekend on my oven racks which have never been cleaned since I bought my stove 12 years ago. They sparkle like new. The product was easy to use and the results surpassed my expectations. I want to leave my oven door open so everyone can see how sparkling clean it is. Thank you so much for your products. I plan on trying more!! This product is AMAZING!!! My oven racks came out like new. I have tried your products in the past and I love them all. The first that I tried was the grill and oven rack cleaner. The oven was a 1965 original to the home and the racks looked like they never were cleaned. I had heard about your product and gave it a try. LOVED IT! The racks looked like new. I recently tried the cooktop cleaner and will never use another brand again. The product was easy to use and did not scratch the cook top. Thank you. I hate to admit it but my racks were black with grime, I followed the instructions, left them overnight, and rinse off. NO Scrubbing! I never leave feedback but had to for this product! Going back to buy more for next time. Just wanted you to know how fantastic your outdoor stainless steel grill cleaner is. I never thought I would see the baked on grime ever come off, but your stainless steel cleaner did the trick. Thank you for this amazing product. The first time I tried the 2-in-1 Oven Rack cleaner, my racks were spattered with roast juices and who-knows-what from the cooking and baking I do. Oven cleaning instructions require removing the racks and when I saw this product at the store, I bought it hoping it would make the scrubbing easier. There are 3 racks in my oven, and after 8 hours, all I had to do was rinse them off! My local store doesn’t have this product in stock at the moment, so I’m buying online. Haven’t tried it on my gas grill racks, so I’m getting two packages and will give the grill racks a good soak. I know the oven racks sparkle like new with no trouble, so I’m hoping the grill racks at least look better than they do now. Thanks! I wanted to give you 5 stars but somehow you only got 3 from me; sorry! Hello, This is by far the best product I have purchased in a long time. I had never cleaned my oven racks, I soaked racks outside overnight in the bag provided, unbelievable results, most all the racks came sparkling clean. Thank you. I am not embarrassed to open my oven in front of people now. I have never reviewed a product online. But after using this product, I couldn’t resist. The results were unbelievable. It is now an inventory item in my pantry at all times. Thank you for such a successful product! I was skeptical but bought this product because I HATE cleaning the racks of my self-cleaning oven. Can’t believe it worked so well! So easy! Telling all my friends to spend the money and stop scrubbing. Thank you, thank you. The Rack Cleaner is great. My racks look new. I will never use another product! I read the reviews and was skeptical that something would really work as promised. I am now a BELIEVER! I have double Wolf ovens. I use the self-clean function often as I cook every day. I tried one box of this cleaner on 2 racks and was shocked – they looked brand new and every single piece of grease, baked on food, etc, came off! I tried 3 racks on one bag and that was a mistake because the solution did not reach it. I left my bags overnight and turned them once or twice. The solution has got to sit on the racks so if you want a great job, spend the $$ to have a bag for every 2 racks. I am now going to use this cleaner on my Wolf stovetop grates. It’s the only product that Wolf recommends. amazing products…. oven rack and grill cleaner is unbelievable… I have family and friends hooked on this product. I also have used laundry color grabber. I am a coupon shopper. Tried oven rack cleaner when coupon was available. Would like to keep my oven racks looking nice and new all the time. The product is expensive for only a one time use of contents in the box. Unfortunately I cannot use the product as often as I would prefer. 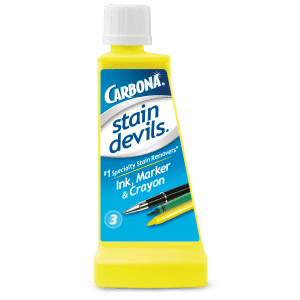 However, I do know Carbona is my go to cleaner when necessary. You will now have time for a manicure while Carbona does the work! Using you 2 in 1 Oven Rack & Grill Cleaner we soaked two oven racks for over 24 hours, turning them over 3 or 4 times. They came out pretty clean, but had quite a bit of very stubborn amber looking stains, especially on the bottoms of the racks. My wife and I spent over two hours scraping them off with soapy steel wool, very hot water and finger nails. From the 41 – 5 star reviews on your web site we expected perfection. But, we were disappointed and feel there was not enough cleaning liquid to do the job. Hope you will consider this problem because we would like to use it again, if it can do the job. I’m a crazy to keep my oven clean. Always give me so much work….but this product is really AMAZING!! it left my oven racks as new!!! with no effort at all, no bad smell. I totally recommend this product! don’t even think about! I ordered 2 boxes a few years ago and am reordering 2 more boxes. Used them on oven racks and grill and I am completely satisfied!!! I bought this on a whim and couldn’t believe the job it did on my oven racks. Made them look like new with no effort. Can’t say enough about this great product!!!! My mother bought this for me a few years ago and it’s been sitting in the cabinet. I opened my weber grill for the first time this year and was going to order new grates ($40+) because they looked pretty nasty. But decided to give Carbona a try. Since these grates were 7yrs old, I did a little prep work on the underside then put them in the bag with the solution. I let them sit overnight. The next day I sprayed them off and wiped them down. I would say 95% of the grates looked brand new. Awesome. Hopefully get another 7yrs out of them.